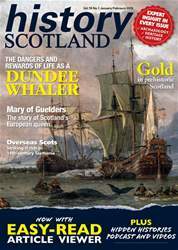 Digital Subscriptions > History Scotland > Jan - Feb 2019 > Lazy hussies dreaming by a murmuring brook? Lazy hussies dreaming by a murmuring brook? 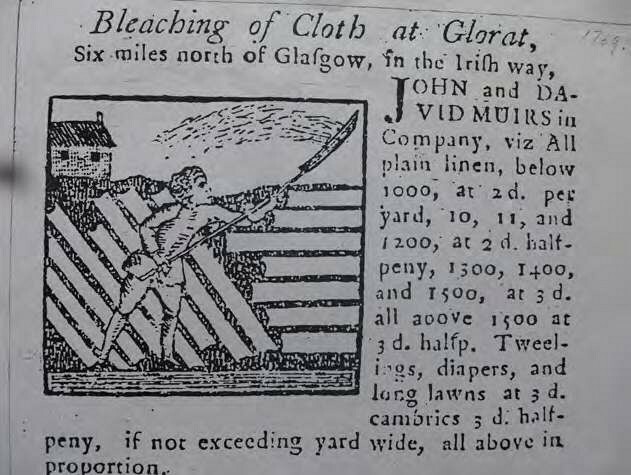 This comment from a Scottish visitor to the bleachields at Haarlem relects the domestic nature of the bleaching of linen at home in the early 18th century, the author critical of the little work involved in whitening a single homespun web. It has often been pointed out that for the Scots bleaching was part of the agricultural year, outdoors, seasonal and timeconsuming, taking between eight to twelve weeks to accomplish as a general rule, in the long spring and summer days. 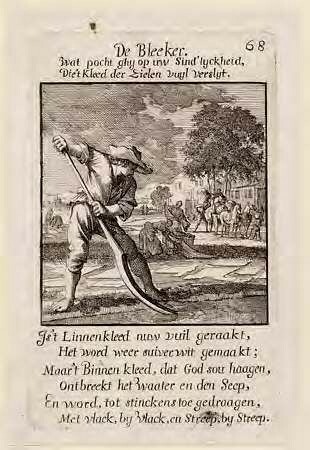 Nothing about manufacturing linen, however, was amateur or parttime. It was an expensive ibre, long and lustrous, but embedded in a woody stem and dificult to process.